LOS ANGELES: In the voice-over introducing his video “Kony 2012,” Jason Russell tells a worldwide audience, “The game has new rules.” The human rights activist’s words seem fulfilled by the phenomenal response to his video about the murderous African warlord Joseph Kony: More than 58 million views had been recorded just four days after its YouTube release Monday. But the response to the video also confirmed that every digital media sensation also invites a large, if not equal, reaction, with the Kony production provoking hundreds of video retorts, uncounted Tumblr posts, countless journalism critiques and millions of comments on Facebook and Twitter. The deluge included a dissection of the finances of San Diego-based Invisible Children and the creator of the video, a slam on the video’s role in what writer Teju Cole deemed the “White Savior Industrial Complex” and suggestions of many relief groups more worthy of public support. The fevered, multichannel response seemed to flow into two major streams. One credited the video with drawing attention to the plight of people living in Uganda and neighboring countries. The second attacked the slickly produced presentation for glossing over complications, overstating the current threat from Kony and diverting attention from solutions more fruitful than a Kony manhunt. But Burnett, other workers for rights agencies and journalists faulted the video for greatly oversimplifying the challenges in Northern Uganda and the region, and they urged support of other groups working to provide services to former child soldiers and the displaced. The young Americans did so while paying scant attention to the atrocities committed by the Ugandan military (which they support in the hunt for Kony) or the Sudan People’s Liberation Army, including attacks on civilians, the Foreign Affairs piece said. See also What is Kony 2012? 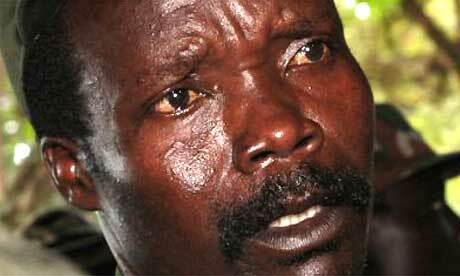 New Media brings Exposure, Criticism for “Kony 2012” film.